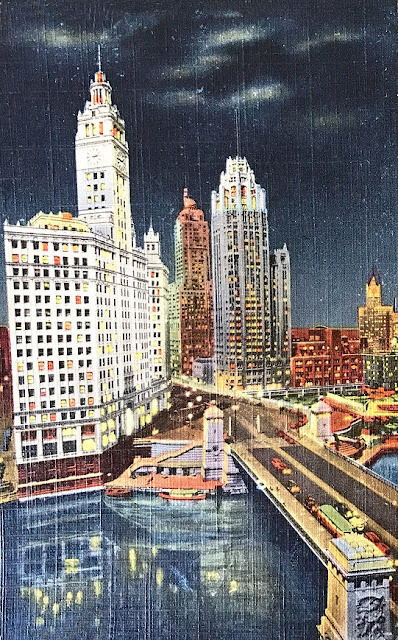 February 10, 1942 – Officials at the Wrigley Building on Michigan Avenue announce that 120 floodlights that have lit up the building will be loaned to the United States Navy for use in barrack construction at the Great Lakes Naval Training Station, where work is proceeding 24 hours a day. The floodlights that cast a million-candlepower wall of light on the Wrigley Building would have sat uselessly on Michigan Avenue, anyway, since the Wrigley Building’s lights were blacked out on January 19 as the city joined the rest of the country in gearing up for the war effort. 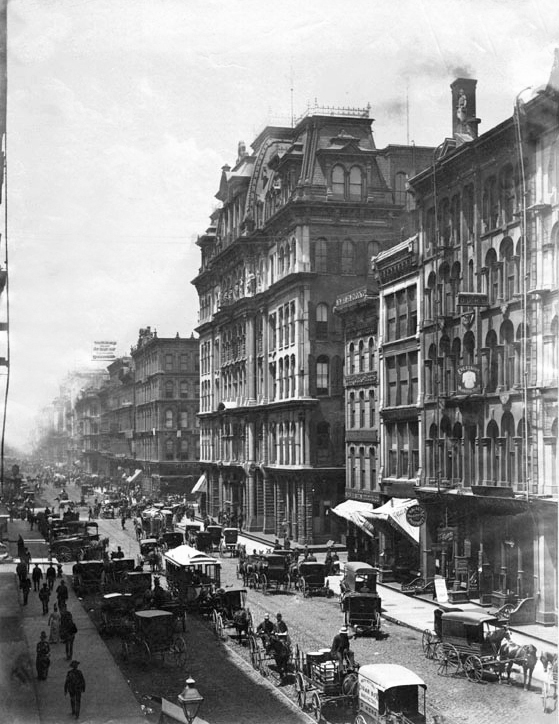 February 10, 1880 – The Chicago Daily Tribune editorializes about “the expenditure of money for cleaning streets that are never cleaned, and never can be cleaned or kept clean by the system which is practiced in this city.” [Chicago Daily Tribune, February 10, 1880] Paved streets cannot be kept clean when so many others are composed of raw earth, and the paper concludes that “The paved streets cannot be free of mud until they are relieved of the supply furnished by the adjoining unpaved streets.” The editorial proposes that a plan be adopted that would see the area bounded by the lake, the south branch of the river, and Twelfth Street given streets “with a deep, hard bed of macadam, cinders, or gravel” so that “These unpaved streets being no longer mud-holes, no mud will be carried from them to the paved streets, and the work and cost of keeping the latter swept and clean continuously will be comparatively very light.” Once this area is complete, the paper continues, the process can be repeated in the North and West Divisions. The editorial concludes, “Having put all the mud-producing streets in order with hard, compact, firm surfaces, the work of keeping the other streets clean will be comparatively an easy matter.” The above photo shows the paved Washington Boulevard at Wabash Avenue in 1880. 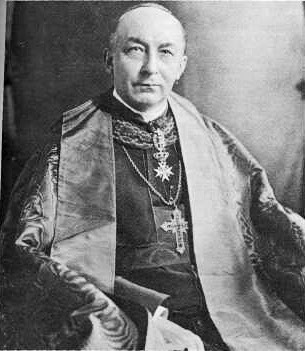 February 10, 1916 -- More than 100 guests at a banquet in honor of Archbishop George William Mundelein, pictured above, are poisoned at the University Club after a cook, Jean Crones, puts arsenic in the soup. Mandelein, who had just arrived in Chicago to take over the city's archdiocese, skipped the soup and was fine. No one died, but a third of Chicago's elite were mightily incommoded. There was little interest in the evening's entrées after the soup had its affect, and orders were quickly sent to hurry the ice cream and coffee and skip the cheese. In his address to the group, the Cardinal said, "I have one thing in view, one thing to perform. That is that when my days are ended and my work is done, the people of Chicago, irrespective of creed, will be grateful that I have come among them and that they will believe I have been a good influence not only to my church but to the whole city." Crones, the cook, turned out to be an Italian anarchist by the name of Nestor Dondoglio. He disappeared and was never caught.